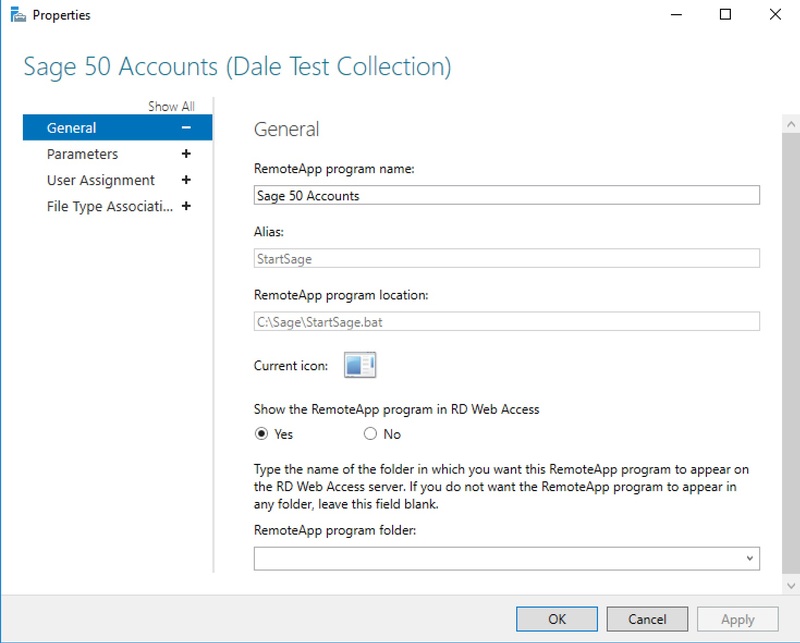 I came across an issue last week when trying to publish Sage 50 Accounts via Remoteapp on Server 2016. When published as an app, the Sage application did not load at all. In fact it quickly appeared and then disappeared, leaving no trace. From looking around it seems to be a common issue. Some people gave up, others went back to 2012 R2 published apps. In the end I got it working with a workaround. I created a batch file which contained the start commands. Put it in a folder called Sage on each Session host. Then I published this batch file as an app. The batch file then launches Sage, it does this so quick that users dont even notice. Get-RDRemoteApp -Alias StartSage | Set-RDRemoteApp -IconPath "C:\Program Files (x86)\Sage\Accounts\Sage.exe"